Pinhal, Laguna, Millenium and Vilasol. The Hotel Vila Galé Marina has a privileged location near the beach and the Casino. 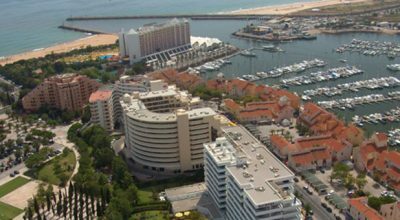 The hotel is also situated close to the famous Vilamoura Marina, which has numerous bars, restaurants and shopping areas. There are also a number of stunning beaches nearby including Praia Vilamoura, Rocha Baixinha Nascente and Praia de Quarteira. A great location for a Vilamoura golf break. This hotel with its 243 rooms and renovated in 2013 offers spacious rooms and suites, many with views of the marina. Rooms are very comfortable and include Free Wi-Fi, television, air-conditioning, mini-bar, telephone, private bathroom, hairdryer and tea and coffee making facilities. There are a wide range of facilities on offer at the hotel Vila Galé Marina to entertain you during your stay. These include a bar, restaurant, tennis courts, indoor and outdoor swimming pools, game rooms, a children’s club and a spa with indoor pool, sauna, Turkish bath and gym. During your stay at the hotel you can enjoy the beach and the Marina, where you can see luxury yachts, designer shops, bars, restaurants and great nightlife. For golfers there is a free shuttle to the numerous and award-winning golf courses of Vilamoura, including Victoria, Old Course, Pinhal, Vila Sol, Millennium and Laguna. 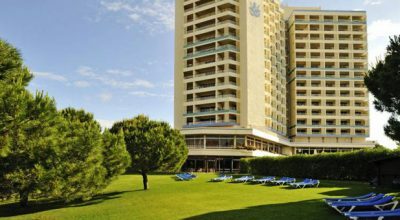 The hotel Vila Galé Marina is in a the popular location overlooking the fabulous Vilamoura Marina. 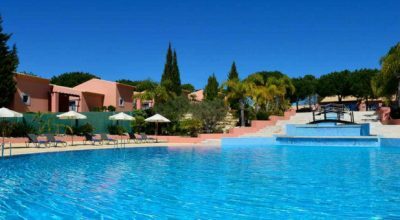 The area has a number of great golf courses to play while on your golf holiday in Vilamoura. It is also just a stones throw away from a multitude of bars, restaurants, nightlife and a number of stunning golden sandy beaches.